The IRS generally has three years after a tax return is filed to audit that tax return and to assess additional tax against you. However, if there is a substantial omission of gross income on the tax return (25% or more), the IRS has six years after the tax return is filed to audit that tax return and to assess additional tax liability against you. 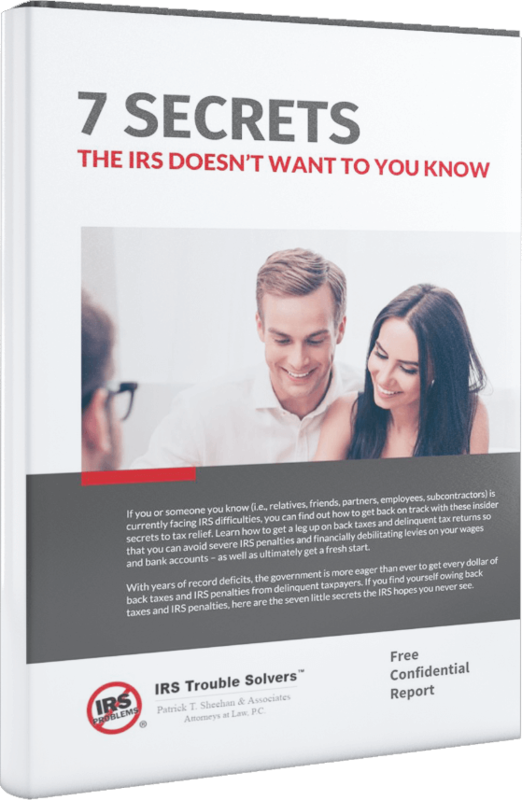 Finally, the IRS can assess tax against you at any time if no tax return is filed or if there is fraud or an attempt to evade or defeat the tax on the return that was filed. Case study: Attorney Representation Limits Audit to Only One YearIn this case study, the IRS chose to audit our taxpayer’s federal Form 1040 tax return for a particular year. Our taxpayer also owned and operated his own business. This business was listed on a Schedule C on his federal Form 1040 tax return. Prior to the audit, we thoroughly analyzed the taxpayer’s tax return to identify what we believed to be the problem areas. In this fashion, we were ready for the audit with the IRS, especially if it veered into the problem areas. We met with the auditor over several days and were able to limit the audit to only a few small issues. Further, we were able to persuade the IRS to not expand the audit to include any other year. Our taxpayer was very happy with the result we were able to obtain on his behalf and the audit is now closed.